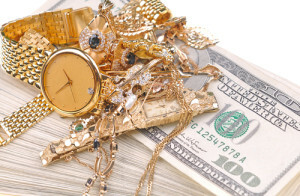 Houston Gold Buyers is Houston’s #1 Jewelry buyer. We buy gold, jewelry, diamond jewelry, & platinum jewelry in Houston. Don’t sell you jewelry for less to someone who is just going to melt it. Located in the heart of Houston, at 1330 Westheimer #3, just minutes from the Galleria 2 blocks from Montrose Blvd since 1993, Houston Gold Buyers has been serving the greater Houston area for over 25 years. Houston Gold Buyers specializes in buying jewelry in Houston. After all we have been buying from the public since we opened in 1993. No appointment is necessary to sell your jewelry. Just pull right up to our front door and ring the bell to come in. One of our trained experts will appraise and evaulate your jewelry right in front of you and make you an offer. Have a question or don’t understand how we came up the price? No problem jst ask! We are more than happy to explain it to you. No secrets here we are 100% transparent. We want to buy all your Jewelry. We buy diamond jewelry, gemstone jewelry, gold jewelry, silver jewelry, necklaces, rings, earrings, bracelets, pendants, brooches, luxury watches and even gold and silver coins. Several questions always come up when you want to sell your jewelry in Houston. First “should I have my jewelry cleaned?”. There is no need if it is an item that is in style and we will resell we will clean buff and polish it so there is no real reason to have it done, as it will no affect the purchase price at all. Secondly ” Should I have the item repaired before attempting to sell it?”. That all depends. In most cases we would say no as a broken piece will typically be melted down for scrap. The exception to this rule would be for pieces made by a world renowned jewelry like Tiffany & Co., Cartier, or Chanel. These pieces have an avid following making reselling their pieces considerably easier. Especially if your piece is no longer in production. This adds an additional collectors value. These are all the things the less reputable buyers don’t want you to know. 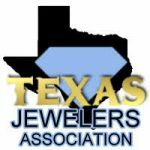 Do I need a Jewelry Appraisal to Sell my Jewelry in Houston? 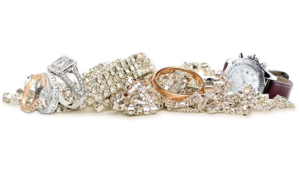 While a jewelry appraisal does help cut the time down in evaluating your jewelry it is not necessary to sell your jewelry. Also jewelry appraisals are based on replacement value not the actual current price. Appraisals take into account inflation and fluctuations in the material costs. If not it would be necessary to have your jewelry appraised every 3 to 5 years. We are happy to give you a free verbal appraisal of the current market price of your jewelry anytime. We offer this as a free service to our customers as a way to keep track of when it is time for a new written appraisal. Please note if you have a written appraisal do not expect to get that full amount when selling your jewelry. This value is full retail value + inflation. While this is an invaluable tool for insurance claims it is not required for selling jewelry. What's my first step to sell you my jewelry? Simple. Just stop in our showroom at 1330 Westheimer Rd or use our contact form to the right to get the ball rolling. Our jewelry experts will evaluate your jewelry and make you an offer based on the current market value. When in store the entire evaluation process is done right in front of you. You can see our scale and our formulas we use to calculate our offer. We have nothing to hide. We will match or beat any legitimate offer period. We suggest everyone shop around a few places before coming to see us. We want you to be 100% sure you got the absolute best price you could. We never want our customer to have a regret selling an item.